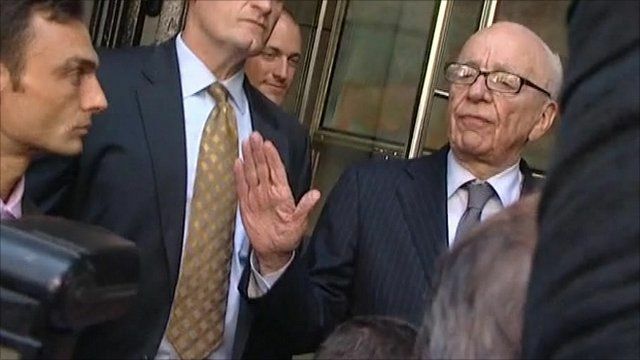 Murdoch confirms Dowler apology Jump to media player Rupert Murdoch emerged from a private meeting with the Dowler family at a London hotel. Rupert Murdoch withdraws BSkyB bid Jump to media player After days of intense pressure over phone hacking and corruption allegations, Rupert Murdoch has made a dramatic U-turn by withdrawing his bid to take full control of the broadcaster BSkyB. 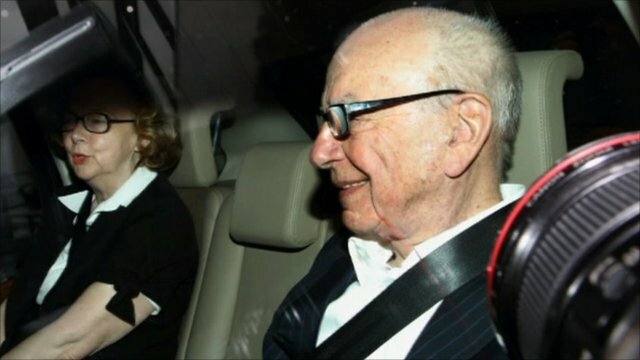 Murdoch meets Rebekah Brooks Jump to media player Rupert Murdoch has met News International chief executive Rebekah Brooks to discuss the deepening scandal over phone hacking at News International. Rupert Murdoch emerged from a private meeting with the Dowler family at a London hotel and, amid shouts from protesters, he was heard to say he had apologised. The Dowler's daughter Milly, who was murdered in 2002, allegedly had her phone hacked by the News of the World. 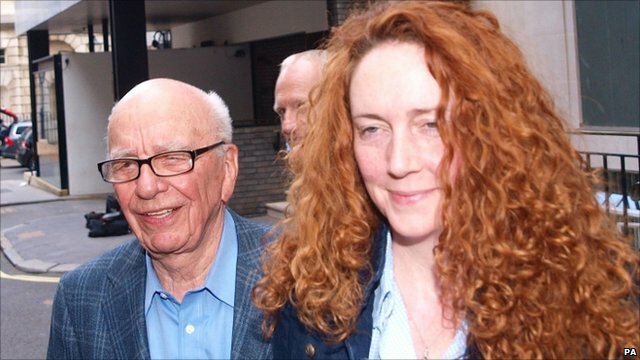 The meeting came just hours after News International chief executive Rebekah Brooks resigned following intense pressure over the phone hacking scandal.